Join me on the Bath Half 2012 – I know you’ve got it in you! The run is on Sunday 11 March 2012, winding its way for 13.1 miles around our beautiful city.. which is not as hard as it sounds. I’d love some Regency tenants and friends to join me. The entry is just £39 with all the proceeds goings to loads of good causes. It will be a fun day out, and if you wear a Regency t-shirt (soon to be re-designed!) I’ll buy you your beers after the run. 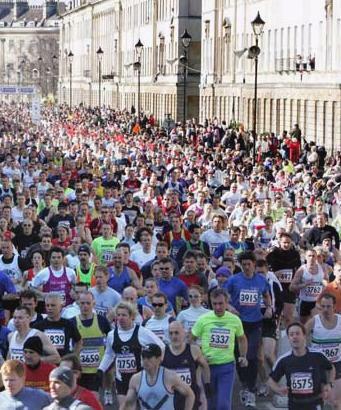 Please enter here www.bathhalf.co.uk and let me know when you’ve signed up – see you there. Please find a link below to some photos from the fun night out I enjoyed with Regency clients on the Bizarre Bath Comedy Walk last week. Hope you enjoy the photos, and for those who were on the walk, how on earth did the rabbit save itself from drowning in the Avon? Have you figured it out? 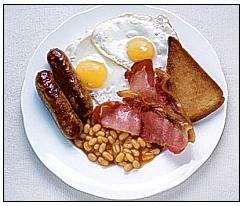 Regency Offices is to launch a regular once-a-month breakfast club for all our tenants and guests. The first breakfast will be staged towards the end of October at a central Bath restaurant. The get-together will enable clients to talk business, introduce each other’s services and hear guest speakers. Think you know Bath? Wait until you go on the Bizarre Bath Comedy Walk! All Regency Offices tenants are invited to join me on this fun tour of our beautiful city on the evening of Wednesday September 21st 2011. Hope you can join me for this really fun night out – and the first drink is on me! Yes, running Regency is a desk job! I was talking to one of our tenants this week and he reckoned Regency was now the biggest serviced office provider in Bath. I was stunned, because this had never occurred to me before, though thinking about it he is probably right. We are providing space to about 60 businesses. I can’t think of anybody else in Bath who can match that. It was tough, but I made it! I ran the Bristol Half Marathon over the weekend…and with no previous training, unless you include an elixir of fine ale and wine the night before. Joking aside, it was an amazing event, and the camaraderie among the runners was fantastic – no way could I have completed that distance without it. The last few miles were extremely tough, but in true Regency style there was no turning back! Sadly, I’ve got no photos to prove I was actually there, but if you go to the Half Marathan website http://www.runbristol.com/ and search my name you will find my time – see pic below. I will leave it to you to guess which of the two Tony Williams on the day was me! We’re retaining Go National to do our PR! We know their name is probably bigger than our ambitions (though you never know!) but we’ve retained Go National to handle our PR for a whole year ahead. They’ve been keeping us in the headlines all summer, and have also made me more focused on media relations and inter-acting with the growing band of lovely people who rent space with us – almost 60 of you in fact! I am also getting to grips with all these new “social media” channels like Twitter, and blogging! Go National PR’s MD, Graham Parker, goes quite a way back with Regency, having rented an office at 2 Wood Street up to a couple of years ago. He now rents the top floor office at 3 Wood Street. 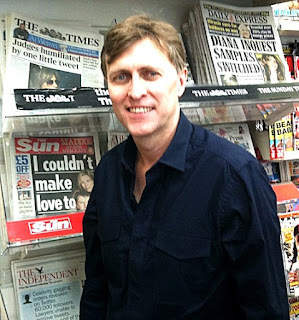 When he was with us previously, Graham was running his website AskYourNeighbour.co.uk which he sold to a Canadian company last summer…though he tells me the “millions” he fantasised about when he became a “netrepreneur” have not materialised. Being a former Fleet Street journalist and successful magazine publisher, Graham decided to return to his roots when he set up Go National last Spring. His idea is to focus on companies in the West who want some national publicity and strategy input. Having also set up three businesses targeted at national audiences, Graham feels he can share some his valuable knowledge of “going national”, not only in terms of PR but also in terms of the business challenges. Anyway, any suggestions I am keeping Graham on simply because he likes a pint of real ale now and again will be firmly refuted. Your round Graham!